Redhat Openshift made a change from Openshift online 2 to online 3. Deadline is end of Sep 2017. My blog www.51sec.org which was hosted at Red Hat Openshift Online 2 environment for last a couple of years has been migrated from Redhat Openshift Platform to AWS Linux Free Tier a couple of days ago before deadline. At the beginning, migration process was easy and smooth since I am keeping same domain 51sec.org. Also Wordpress plug-in "All-in-One WP Migration" helped a lot during this process. Whole blog was exported to a 120M package. Unfortunately I still got a problem when access www.51sec.org site later which is running on AWS Linux instance. At second day after migration, I got my monitis alert email to say my site is down. PHP is out of memory. I got many suggestions from Internet. Here are some methods I took. My temporary solution one was to set up a schedule to restart httpd service every two hours using CRON. I used https://crontab.guru service to get proper command and wdt.io to get alert email for cron jobs. It did works and helps. From the httpd/error_log, I can see the service was shut down and resumed at scheduled time. There are some posts mentioning some kind of attack related to XML-RPC, which can be exploited to send thousands of requests to WordPress in a short amount of time. 180.191.61.7 - - [27/Sep/2017:02:24:09 +0000] "POST /xmlrpc.php HTTP/1.1" 200 403 "-" "Mozilla/5.0 (Windows NT 6.1; WOW64; rv:40.0) Gecko/20100101 Firefox/40.1"
97.73.96.19 - - [27/Sep/2017:02:43:52 +0000] "POST /xmlrpc.php HTTP/1.1" 200 403 "-" "Mozilla/5.0 (Windows NT 6.1; WOW64; rv:40.0) Gecko/20100101 Firefox/40.1"
112.200.195.163 - - [27/Sep/2017:02:46:41 +0000] "POST /xmlrpc.php HTTP/1.1" 200 403 "-" "Mozilla/5.0 (Windows NT 6.1; WOW64; rv:40.0) Gecko/20100101 Firefox/40.1"
115.79.220.211 - - [27/Sep/2017:02:54:56 +0000] "POST /xmlrpc.php HTTP/1.1" 200 403 "-" "Mozilla/5.0 (Windows NT 6.1; WOW64; rv:40.0) Gecko/20100101 Firefox/40.1"
160.238.72.10 - - [27/Sep/2017:03:00:06 +0000] "POST /xmlrpc.php HTTP/1.1" 200 403 "-" "Mozilla/5.0 (Windows NT 6.1; WOW64; rv:40.0) Gecko/20100101 Firefox/40.1"
39.46.183.191 - - [27/Sep/2017:03:06:05 +0000] "POST /xmlrpc.php HTTP/1.1" 200 403 "-" "Mozilla/5.0 (Windows NT 6.1; WOW64; rv:40.0) Gecko/20100101 Firefox/40.1"
2.24.37.37 - - [27/Sep/2017:03:08:31 +0000] "POST /xmlrpc.php HTTP/1.1" 200 403 "-" "Mozilla/5.0 (Windows NT 6.1; WOW64; rv:40.0) Gecko/20100101 Firefox/40.1"
115.178.26.232 - - [27/Sep/2017:03:15:42 +0000] "POST /xmlrpc.php HTTP/1.1" 200 403 "-" "Mozilla/5.0 (Windows NT 6.1; WOW64; rv:40.0) Gecko/20100101 Firefox/40.1"
112.210.202.81 - - [27/Sep/2017:03:16:09 +0000] "POST /xmlrpc.php HTTP/1.1" 200 403 "-" "Mozilla/5.0 (Windows NT 6.1; WOW64; rv:40.0) Gecko/20100101 Firefox/40.1"
98.124.36.154 - - [27/Sep/2017:03:19:52 +0000] "POST /xmlrpc.php HTTP/1.1" 200 403 "-" "Mozilla/5.0 (Windows NT 6.1; WOW64; rv:40.0) Gecko/20100101 Firefox/40.1"
There are thousands of similar logs like that. Based on the post suggestion, install jetpack plug in helps to reduce this kind of attack. The Protect function is automatically enabled. You can now see a Jetpack dashboard which also displays the Protect function as being Active. 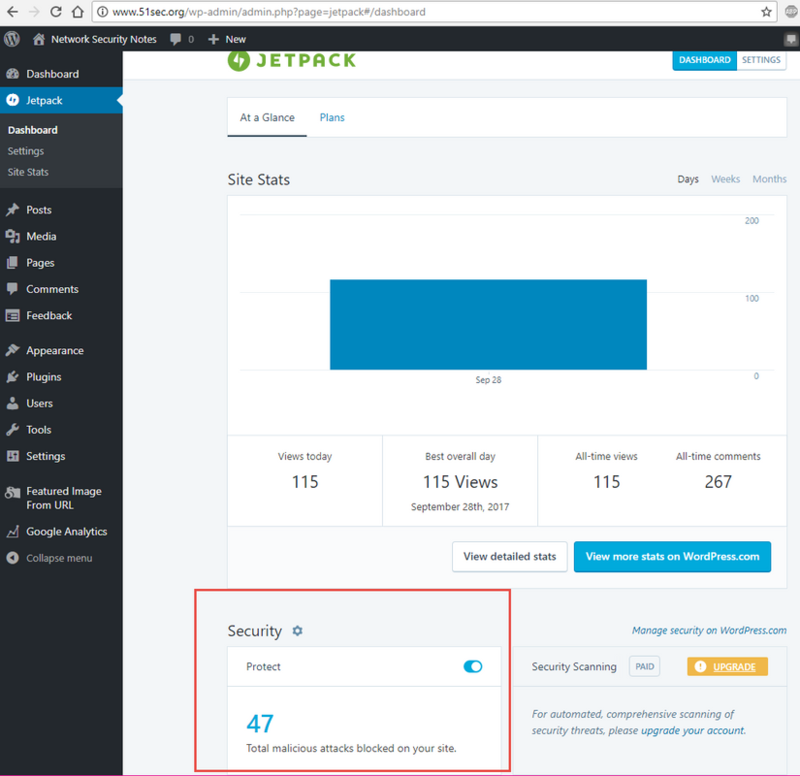 After running a couple of hours, we can see there were 47 malicious attacks blocked by Jetpack plugin. 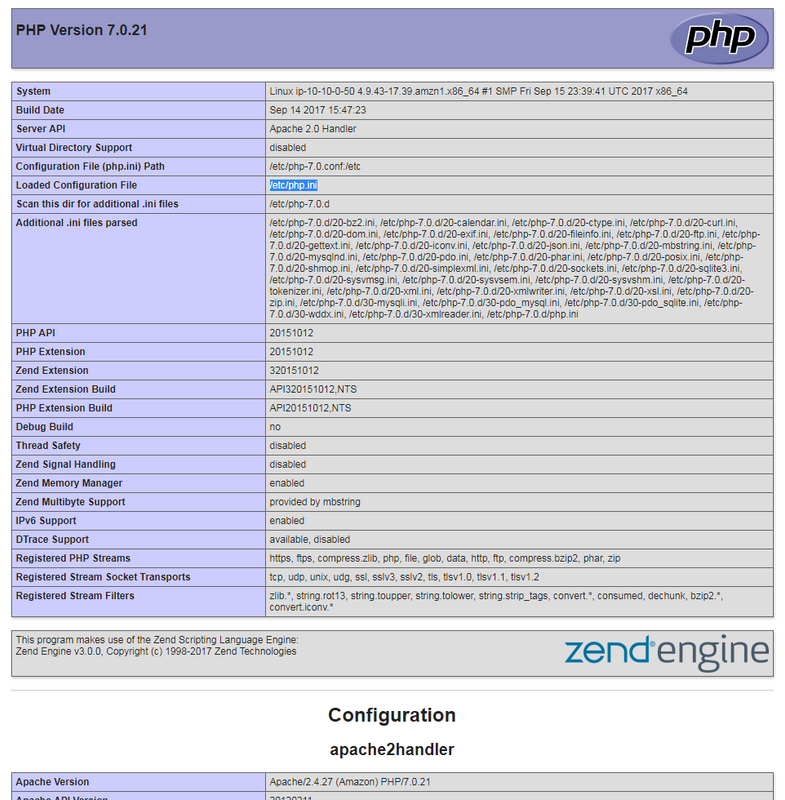 After did a google online and found there are many posts to suggest change some settings on php.ini file. I also tried to increase my PHP memory limit with wp-config.php file. This file is located in /var/www/html/ directory. Add it to the last line of the file wp-config.php.